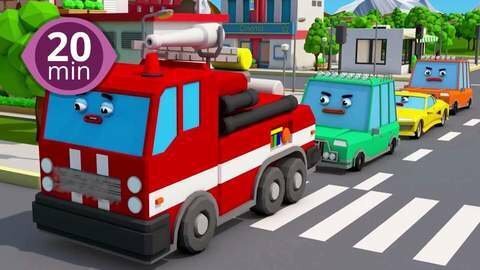 Free online 20 minute nonstop video featuring 3D car cartoons help preschoolers learn colors in this sunny HD video. Watch Red Tow Truck help out his friend Red Fire Truck. See Blue Tow Truck offering a lift to Blue Police Car. Enjoy full HD episodes online for free at SeeZisKids!